I need these gems in my life!! 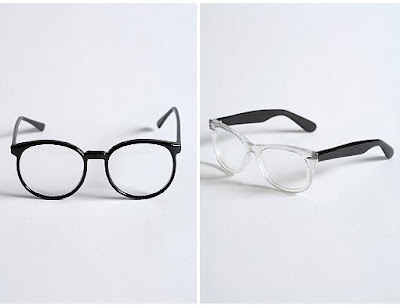 I've been looking for clear framed glasses for months, who knew I'd find them at Urban Outfitters of all places. Oh well, I'm not complaining. Anyone from Winnipeg want to do combined shipping? im serious, please get me some how badly are they going to hurt my pocket? wait now i kind of want both.